There are a lot of people that wonder why powder coating is a better option than traditional painting. Well, there are a number of reasons, but one of the main differences begins with the two metal finishing techniques. Powder coating is applied as a dry powder, and because of this no solvents are required to keep the binder or filler parts in a liquid form. 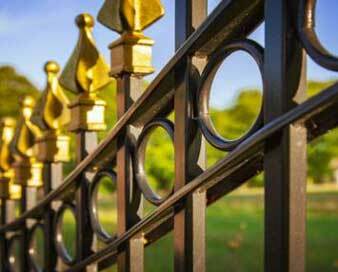 A three-step process is used that ensure the quality and durability of our work that includes, surface preparation, pre-treatment and the powder coating process. This process is what ensures the quality and durability of the finish work. The process allows the powder coating to become a part of the material it is applied to. After the powder coating is applied, it is then cured and finished in a 375 degree oven. This is another difference from liquid paint that sits on the surface of a product and is air-dried. Being oven dried means a longer lasting and durable finish that is more suited to resist corrosion, chipping and rough environmental conditions. The surface preparation and pre-treatment is a detailed process that allows for the powder to adhere directly to the metal surface better than traditional paint, and it makes the products more resilient and sustainable over time. The pre-treatment stage is the most important step in the process. In this phase, everything is thoroughly cleaned with a strong degreaser that removes oil and dirt from the surface of the metal, and acid is used to open the pores of the metal. Powder coating is not only more durable, but in most cases it is also more cost effective than the liquid painting process. This is because less expensive material cost and operational efficiencies that produce less waste. The powders used are 100 percent solids, and efficient powder recovery provides nearly 100% material utilization. Less waste of materials translates into more savings for you. Powder coating is an environmental-friendly and safe process due to the fact there is less volatile organic compounds (VOC’s) as compared to liquid paint. There are no solvents or pollutants released into the atmosphere. Even the over sprayed powder can be recovered and the waste is minimal. 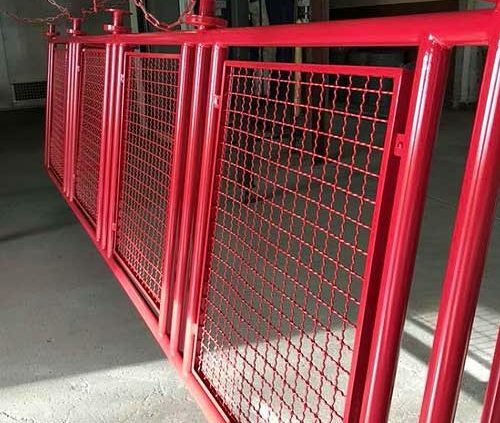 While powder coating may not be the best solution for every project, in most cases, it is the most durable and cost effective, and not to mention the most environmentally friendly option.